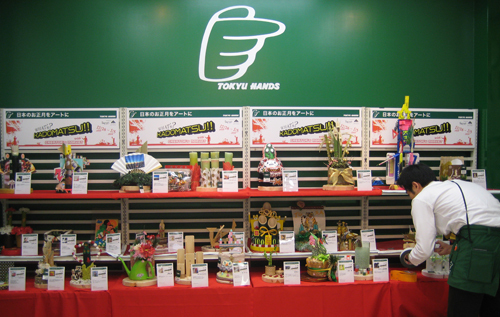 i showing [kadomatsu object]in tokyu hands in shibuya. 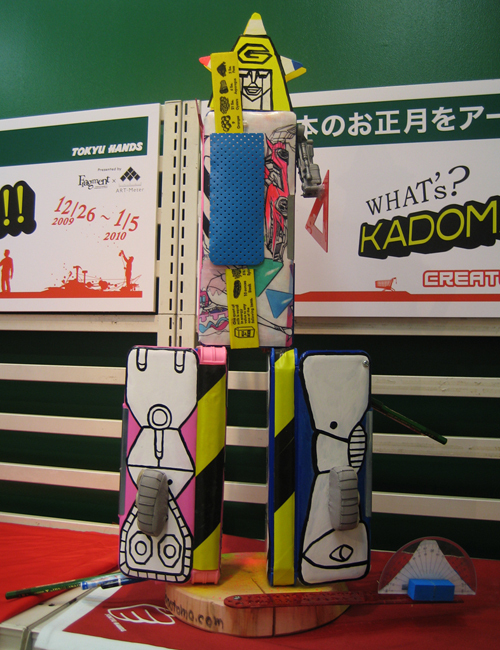 kadomatsu is banboo object for new year. 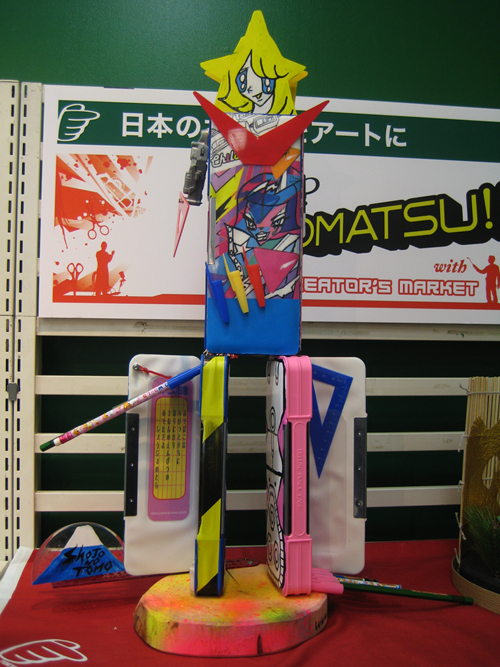 some artist made original kadomasu by someting. 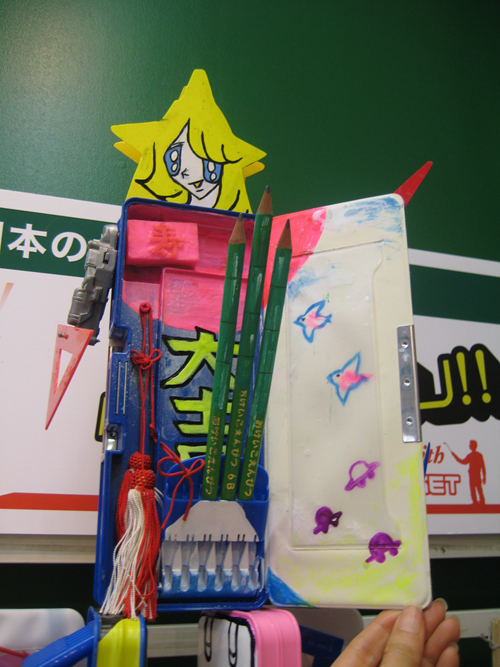 i made it by pen case for kid. 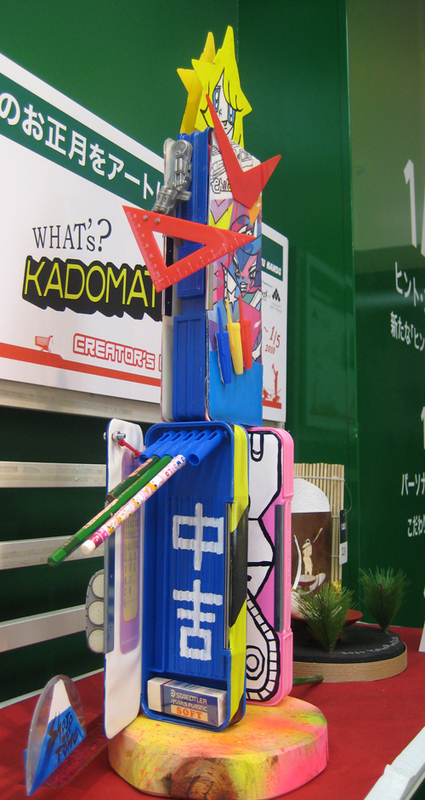 it has omikuji at pencil. 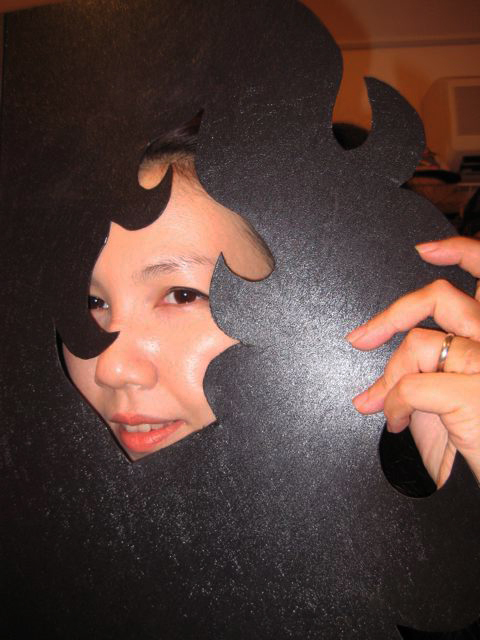 lets chalange it for 2010year! please get a big happy! 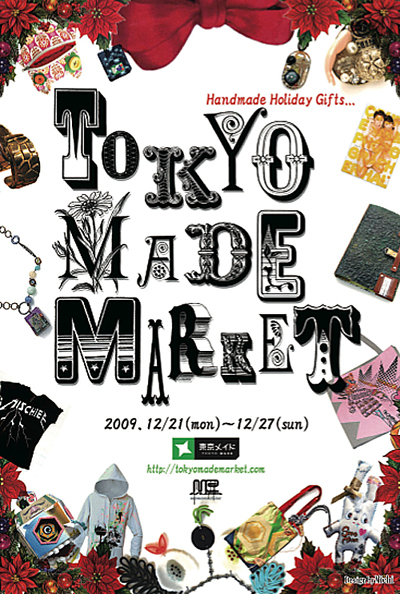 I SHOWING SOME ART GOODS IN TOKYOMADE MARKET. 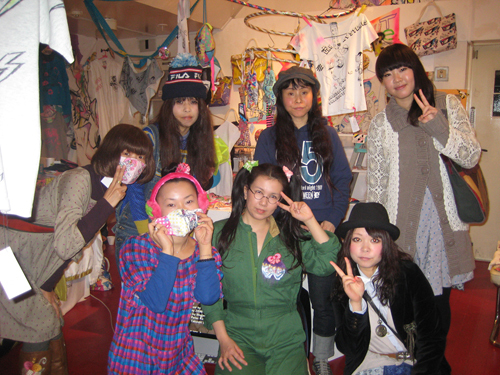 IT IS GROUP SHOW IN SHIBUYA. 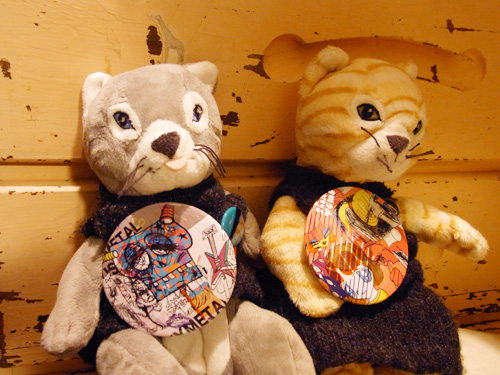 THERE ARE INTERNATIONAL MEMBER OF TOKYO MADE. IF YOU LIKE PLEASE JOIN .SOME ARTIS WILL STAY 27 DEC. 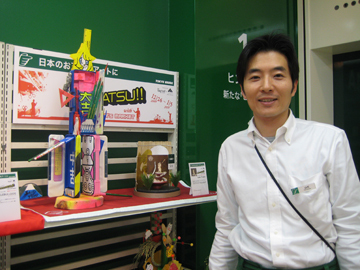 I WILL SHOW THE KADOMATSU(IT IS OBJECT FOR NEW YEAR)AT TOKYU HANZE IN SHIBUYA. 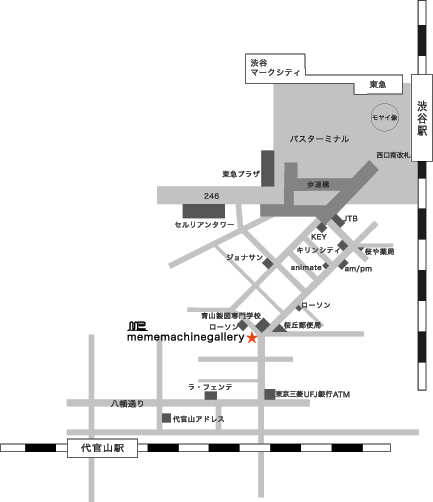 IF YOU LIKE PLEASE COME TO SHIBUYA.